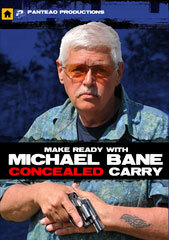 The Michael Bane Blog: PDWs and a Decent Cherry Cake! I think I'm going to bake today. What I have in mind is a Kentish Cherry Cake, because I have a bunch of sweet and tart cherries and I think they need a happy home. It would also taste good for breakfast tomorrow with clotted cream. While I'm working on the cake, I'm going to be thinking about PDWs and whether they're a coming thing or an interesting but small branch of the family. 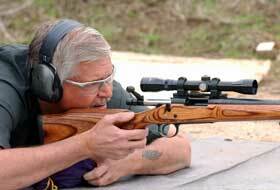 It's probably fair to say that this year's SHOT was a Year of Precision Rifles. They were everywhere, like head lice. I've got some...you've got some...all God's chilluns got some, or at least will have as soon as some room opens up on Ye Olde Visa Carde. But just under the surface of thousand yard plinkers was the rise of the "civilian" PDW, an itsy bitsy teeney weenie usually AR-patterned, folding or collapsable pistol braced backpack-sized blaster...usually, but not necessarily, in a pistol caliber. The prototypical version of the wee beastie is the SIG Copperhead, the shrunken 3.5-inch barreled version of the Rattler, with an overall length of 14 1/2 inches and in 9mm. In a flat market, the interest in the Copperhead is predictably off the charts. Probably the Belle of the Ball at SHOT was the Maxim Defense PDX, an 18 1/2 inch 5.56 or 7.62 X 39 pistol that grew out of the military solicitation for PDWs. It's beautiful, it shoots just super and people are already queuing up to buy one at a couple of grand a pop, deliverable in April. Other versions abound — the Sol Invictus TAC-9, the Fightlite MXR interchangeable pistol caliber pistol, CMMG's Banshee, the Angstadt Arms SCW-9 (currently in subgun or SBR configuration, but a pistol is coming), the CZ Scorpion S2 Pistol Micro, several B&Ts, and on and on. I could even make a case that the current crop of MP-5 clones in pistol config fall into the same category. Why? Well, there are both trite and serious reasons. On the trite side of the equation, they're cute and — say what you will — cute sells. Americans have always had a fascination with subgun-styled guns...paging the MAC 10! The difference between the earlier generation little subgun-styled guns and what is now available is that today's versions are much lighter, much more refined and — dare I say it — useful. for the last couple of years we've all been saying that, should you stumble into a worst case shooting situation, say an active shooter, regardless of what you have in the trunk of your car, you are going to fight with what you have on your person..excepting, of course SAS troopies in 3rd World counties. But what if you, as a paranoid person a la Mikey, has a backpack on your person, and that backpack has a PDW? Far-fetched, to be sure, but not totally beyond the pale. Plus, expect even smaller iterations. The Flux Defense "Flux Brace" system that adds a brace-equipped extension to a Glock G-17, or the several systems that utilize the SIG 250/320 fire control cradle to drop into a brace-equipped or properly papered SBR. We should probably also add in the RONI-type "conversion units," which allows one to stick a handgun into a cradle that gives one a brace-equipped bigger pistol or an NFA gun. I always thought they were putting much gimmicks until I ran one at longer distances. Hey, an additional point of contact helps when you push out past 50 yards. Given the huge success and prevalence of Polymer80 and the flood of Glock-ish frames, I suppose it it only a matter of time until we see dedicated PDW "uppers," a la the old Mech Tech carbine conversions, for aftermarket Glock frames, skipping the intermediate pistol stage altogether. Heck, maybe such a thing exists and I just haven't stumbled on it yet. Time to go sift flour! Who is this writer, and what have you done to Michael Bane?... thanks, interesting discussion!.. ill start saving my allowance! Agreed but with a big caveat. I suggest the PDW is an attempt to buy points and reflects the graying of the market. That is PDW is the choice to compensate for lack of training and to allow an aging population mechanical aide to make shots that once came easy and now come hard. Makes sense for civilians as it does for those uniformed personnel who are not first responders. Maybe bring back a lead man on active shooter response teams who marks the target with tracers as was tried by U.S. forces in Europe once upon a time (and abandoned). I have long since moved to red dots with some magnification available on Tavors for my range toys and go to house gun both in 5.56 and a 9x19 with a down and back suppressor that adds negligible length (9x19 suppressed is a little disappointing in abstract but next to a short barreled 5.56 with a muzzle device the 9x19 is a lot quieter). This allows me to make shots I could once but no longer make with a good two handed hold and young eyes. Head size gongs (armor plate wasn't on the market we used big transmission gears and replaced them for cratering) just hanging there - not moving and not shooting back - at 100 yards was easy enough. If we want a nation of face shooters and I think we do then I suggest bringing back a modified handgun metallic silhouette game for precision combined with plate racks at 100 yards/meters for time. Targets calibrated for something like 9x23/.357 Sig/.40 S&W. I need not merely want a PDW to make such shots but much of the population could be and should be trained and equipped to do just fine with conventional service handguns. One of the executive protection gun writer types once wrote that where long arms were out of the question he tried to have a (European model) Sig 210 for at least rifle accuracy past 100 yards. Of course if every teacher had a PDW in the desk that should allow everyone the teacher included to have confidence in making the shot. All you need to look at is a B&T USW-A1 and you have the answer. Because of you, Mr. Bane, I built a 9mm AR-15 last year with a 4.5" barrel, and I love it! It's a lot easier to shoot an AR pistol with peep sights or a red dot than it is to shoot a Glock with a similar barrel length. I'm faster and have a 30-round Colt-style magazine in the gun. It's great for home defense and is certainly no louder than a standard 9mm pistol. And suddenly, he's back? Gone since what, July 2018? I missed the new posting until today, Feb' 22, 2019 when I decided "to just see if..."
How much ad support (Spelled : "SPONSORSHIP" may have been lost in that time, along with viewership? Do they know? Anyhow, we do enjoy your prose Mr. Bane. Keep it coming. Please! P. S.: nj, How're ya doin? I miss your thoughtful insight into any subject. I hope your health is good. Yesterday reports came out that local PD's issued warning to their officers. Apparently there is some info that MS13 might be looking to hit off duty cops and their families at home. If ever there was a reason to home carry this is it. On top of this, as you well know, NY, NJ and other mid-Atlantic states hate gun owners and CCW of civilians. Including family members of police officers !!! To ALL officers across this country, be careful. Talk to your family. Your parents, spouse and kids. Keep your head on a swivel and be prepared to act decisively. P. S.: What say you now Dave Anderson? If I had some fresh sour cherries and needed something to do with them, I think I'd bake a pie. Pit the cherries, add to them the juice and zest of a lemon, and stir them with half a cup of sugar and a cup of cornstarch, then bake them in a lattice top crust. Weather is still cool enough for baking, and it'll help warm the house. Also, cherry pie.